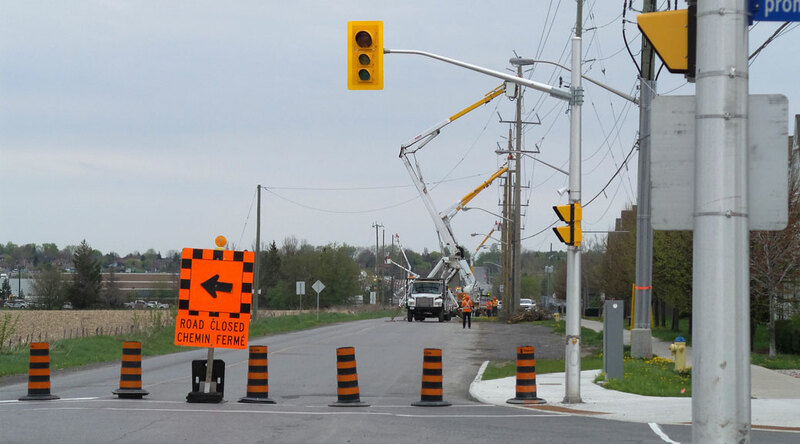 In May, Hydro Ottawa began conducting a pole relocation project to improve the reliability of the electrical service in the Stittsville and Kanata West area. Pole relocation involves excavating and moving existing poles located on your street and/or in your backyard. You may notice an increased construction presence throughout the duration of the project, including excavation activities. Traffic control will be implemented to ensure that roads and driveways remain accessible and safe to residents. Tree trimming may also be required throughout the duration of the project. Planned power interruptions are expected to occur as a result of this project, and all affected residents and businesses will be notified of these interruptions in advance. Our qualified staff and contractors will conduct this work safely and efficiently, ensuring that any inconvenience is minimal. 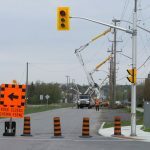 As a result of this project, we have made arrangements with the City of Ottawa to close Maple Grove Road (between Huntmar Drive and Silver Seven Road) on Saturday, June 18, 2016. Driving and parking within the area will be restricted between 7:00 a.m. to 7:00 p.m. on this day, allowing our contractor to conduct the work safely and efficiently. Pedestrians will also be restricted from entering the construction zone. During this road closure, you will notice increased construction presence, including construction vehicles and temporary detour signs directing traffic and pedestrians away from the construction site. 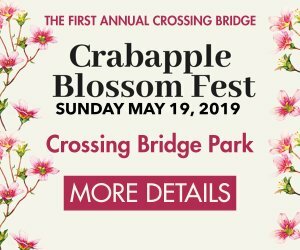 Only local traffic will be allowed to enter and exit the area. Once the work has been completed, our contractor will reopen Maple Grove Road to all vehicles and pedestrians.